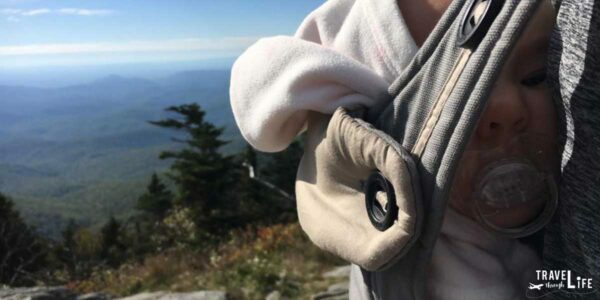 Baby hiking gear keeps getting better and better and there are so many choices out there. So with that laid out there, what exactly should you pack when hiking with a baby in tow! Of course, everyone wants to know what carrier you should bring, but we’re going beyond that, breaking down our favorites into 11 categories. Before you go out on our next walk through the woods, take a look at what we pack and feel free to compare notes with us after reading! Ok, so we said we’re going beyond the carrier, but we still wanted to briefly cover them. We’ve gone over and tested all the top-rated baby carriers, baby slings, and everything else out there and decided on two recommendations for you: either a soft structured baby chest carrier like the Ergo 360 or a hard framed hiking carrier like the Osprey. Each of them has their advantages and disadvantages, so let’s get into them. Our pick for best infant carrier is the Ergobaby (Ergo). This wonderful creation is small, compact, and can be stashed in luggage. It’s also practical for us to use outside of the mountains of North Carolina, around downtown, in shops, and at home. When she was younger, our little one took many naps in her Ergo! You can also put this on by yourself, though it takes some getting used to at first. Another cool thing about the Ergo is that you can use it as a front carrier or as a back one. Nifty, huh? We really do love our Ergo and have kept using it even as our baby has gotten older. However, there are some pretty cool soft baby carriers out there that you might like even more! The only downside to the Ergo is a lack of storage space. However, a hard child carrier—like a Deuter or Osprey—has tons of that! If you are by yourself, this is great because you can pack your snacks, keys, water, wipes, and whatever else in the carrier and bring it along with you. We not only like that, but there is also a different vantage point of carrying. For heavier toddlers, these baby backpacks don’t feel like such a heavy load! Can’t decide? There are even more child carrier backpacks ready for your next trip! Everyone needs snacks. And everyone knows that a toddler needs snacks! We always throw a couple of pouches, some fresh fruit, and some crackers in our bag when we’re going on a hike! Whether it’s for you or the little one, snack bags are a must! 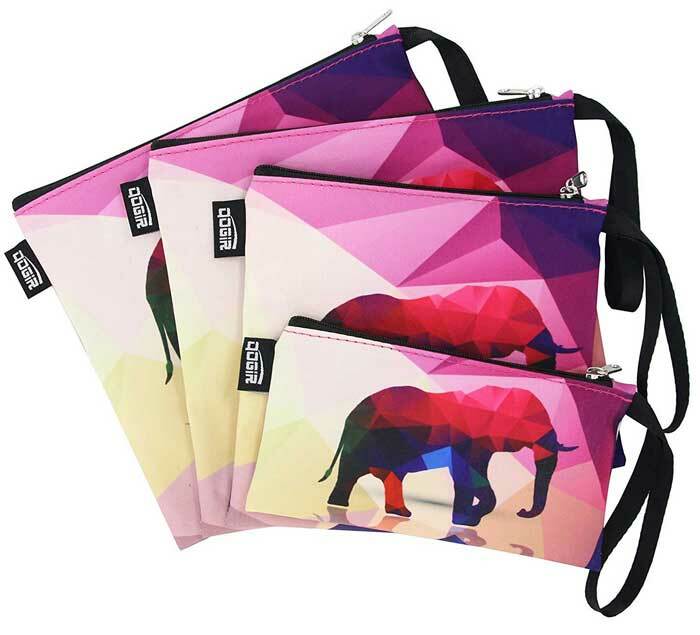 These reusable snack bags are durable, cute, and cut down on waste! We like them because not only are we cutting costs by not buying individual sized bags, but we’re also not leaving any trace behind us! I know this was taken at home, but hey, gotta have a “cute kid mess” photo! Grab an assorted pack like these Plum Organics or fill your own WeeSprout pouches. We do both! I’ve found that the WeeSprout freeze really well if you are batching some purees or you can even fill them with applesauce or some yogurt! Don’t tell anyone, but I’ve totally made myself some pouches while hiking! They’re an easy way to get some fast yummy energy and the reusable pouches clean up really easily in the dishwasher! 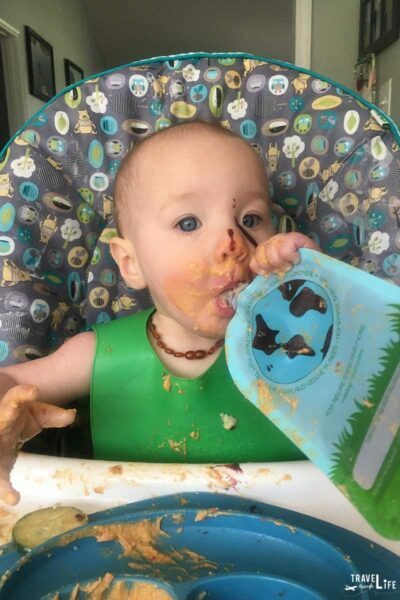 We’re also fans of Happy Baby organic pouches! There are even more baby pouch brands to choose from, in case you’d like to see different options. We have two favorite types of snack cups. The Munchkin Snack Catcher is great for dried snacks like cheerios, goldfish, veggie straws, dried fruit. It’s “relatively” unbreakable (I say this because our toddler knows how to chuck like an MLB pitcher and it has stayed relatively intact) and the handle makes for easy holding! Our second favorite snack cup comes from Skip Hop. Not only is it adorable, but the lid means you can put more perishable/messy items/healthy snacks for kids inside! We’ll often put berries, apples, or bananas with chia seeds inside ours. Baby snack cups keep getting cuter and cuter. If you don’t believe us, have a look for yourself! Water should be first, but I wasn’t thirsty when I started writing this. Now, here we are! 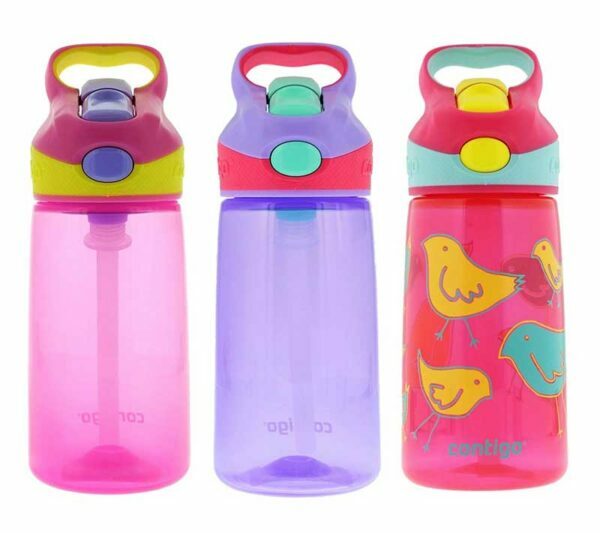 We’re a big fan of the Contigo water bottles for kids! The spout is easy to open and it also keeps dirt out! It’s spill-proof, too, even with our pitcher arm toddler! Of course, there are more options out there. 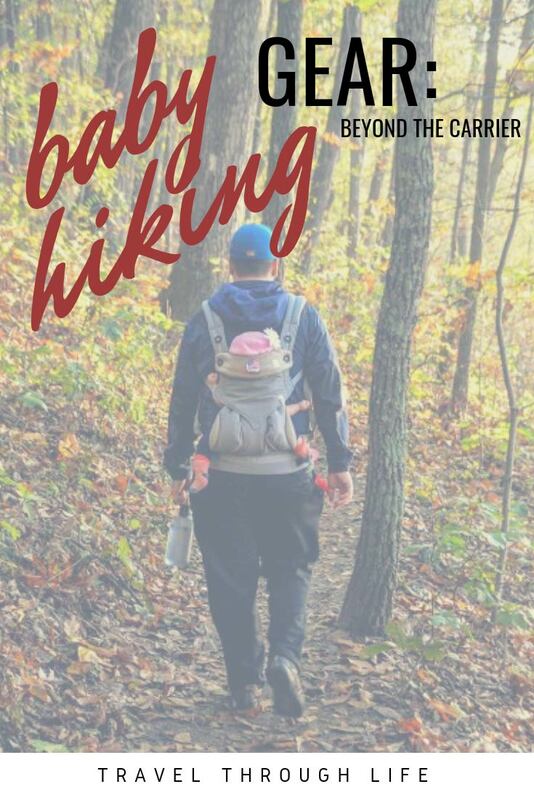 We’d love to know what water bottle you like to use when hiking with baby! If we’re planning on stopping and having a picnic, a throw down mat is really nice to have. We like this one from Wild Life because not only is it compact, but it also has loops at all the corners so you can lay some stakes down if you want to keep it from blowing away on a windy day. You can also tie it up in between some trees and use it as a rain or sun cover too! 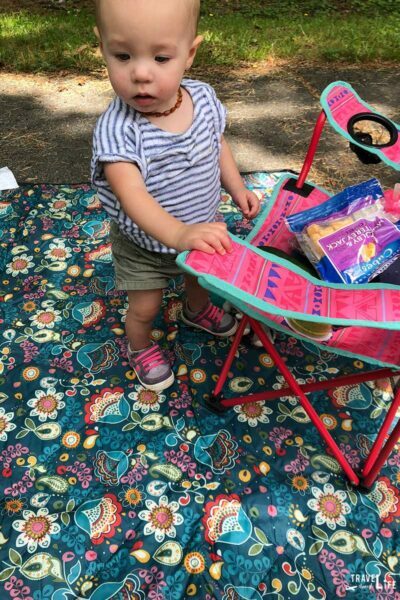 Hiking picnic mats are so much fun, but picking your favorite one is even more exciting! Chances are you’re going to need to change a diaper or two while on the trail. Chuck all that waste into a wet bag like this Planet Wise wet bag! It will keep the smells contained and you won’t need to worry about soiled wipes rubbing up against your apple. This Planet Wise Wet Dry Diaper Bag has been our go-to even as our baby has gotten older. 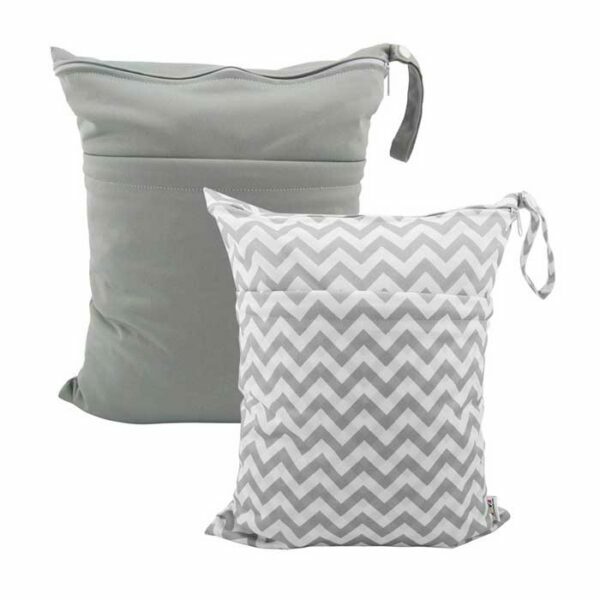 There are more Cloth diaper disposal bag options that range from just efficient to cute designs and more in between. There are some things that just make life a little easier when you’re out in the woods. Some things like a quality bug spray and sunscreen are necessary, while some things are just nice to have. We decide what we’re hauling with us based on two things: how difficult is the hike and how long are we going to be out? 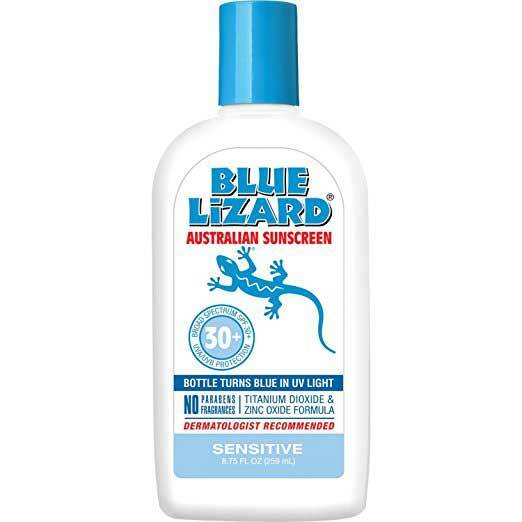 Got a favorite kid-friendly bug spray or sunscreen that works for you and your kid? We’d love to know about it! Elite level: I’ll admit it. We have one of these. It’s amazing. And sometimes we do bring it while hiking. 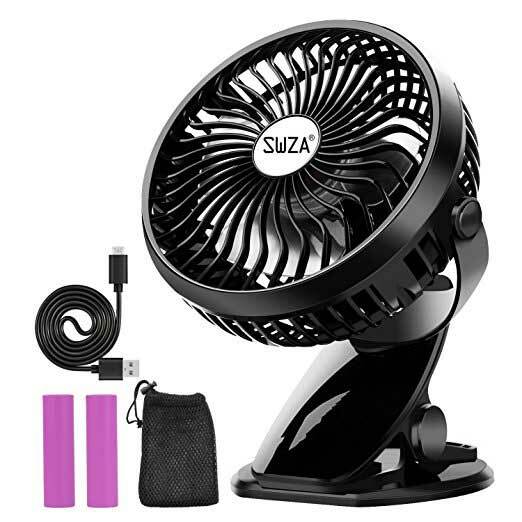 This rechargeable Stroller clip-on fan can be attached to the back of most hiking carriers and keep both kid and parent cool. It’s definitely a luxury item and not used on every hike- but if you know you’re in for a long one that might have some sun, this fan can save the day! There are so many ways to keep your kid cool when in the stroller. Who knew! 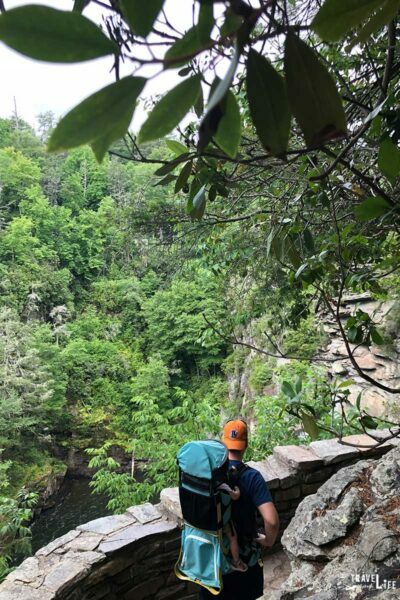 Hiking with kids is great for both you and them, especially if you’ve got the right gear. That way, you can focus more on showing your little ones the world and teaching them different and new vocabulary! 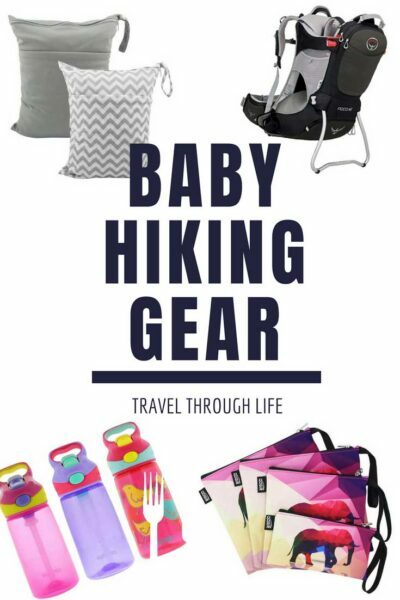 Keeping this list of baby hiking gear has made our lives much easier and we hope you find it helpful, too! 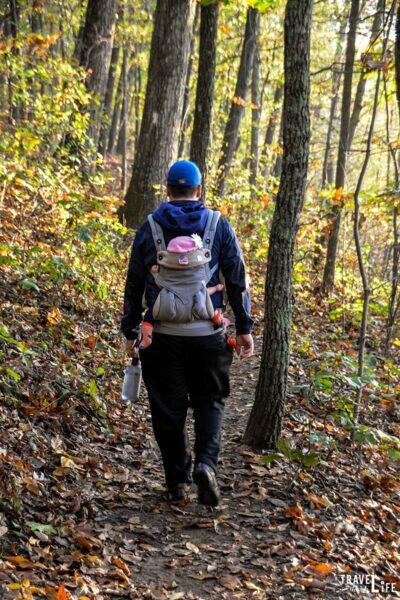 Do you have a list of baby hiking gear that’s similar to this one? We’d love to know about it. Also, feel free to share anything we should add or take off this list, as situations and technology are always changing. This post is part of our series on Baby Travel. 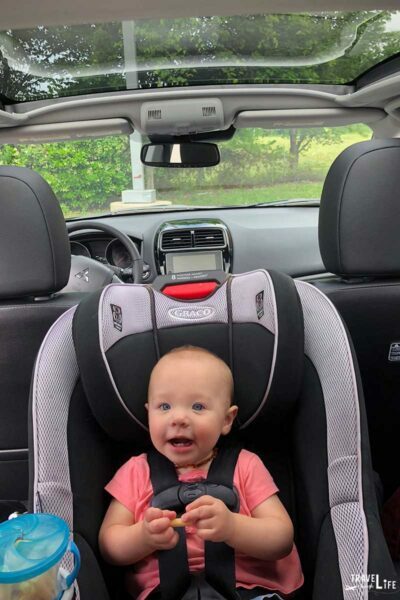 If you’d like to see more of how we travel with a baby, a specific travel packing list, or how we enjoy car travel, please let us know! We’re always open to new ideas.